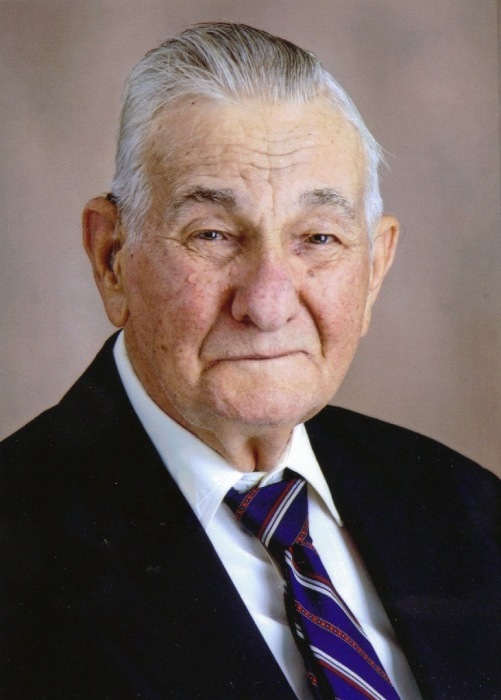 Fred Ervin Lineberger, 92, passed away peacefully on Monday, April 15, 2019 at home. He was born January 9, 1927 in Gaston County to the late Clyde Ervin and Lilly Lineberger Lineberger. Fred was a devout church member with 60 plus years attending Mt. Beulah Baptist Church, serving as a Deacon, a driver with the Bus Ministry, and serving on several committees at the church. He was a veteran of the United States Army. Fred is preceded in death by his son Richard Lineberger; brothers Larry Lineberger, Tommy Lineberger and sister-in-law Linda Lineberger; sister Mary Sue Brooks and brother-in-law Wilford Brooks. 6 grandchildren, 8 great-grandchildren and 1 great-great-grandchild. The family would like to thank everyone for all the prayers and support during this difficult time and especially Cindy and Tammy from Gaston Hospice. Fred’s funeral service will be held at 3:00 p.m. Thursday, April 18, 2019 at Mt. Beulah Baptist Church 5306 Dallas-Cherryville Highway, Bessemer City, NC 28016 with Rev. Fain Farmer officiating. His family will receive friends from 6:00 to 8:00 pm Wednesday, April 17, 2019 at Sisk-Butler Funeral & Cremation Services, Bessemer City. In lieu of flowers, memorials may be made to Gaston Hospice, PO Box 3984, Gastonia, NC 28054.